together with our human resources enabled the Company to achieve the highest level in designing new products and meeting Customer’s need. SolidWorks Simulation provides core simulation tools to test designs and make the decisions to improve quality. The full integration creates a short learning curve and eliminates the redundant tasks required with traditional analysis tools. 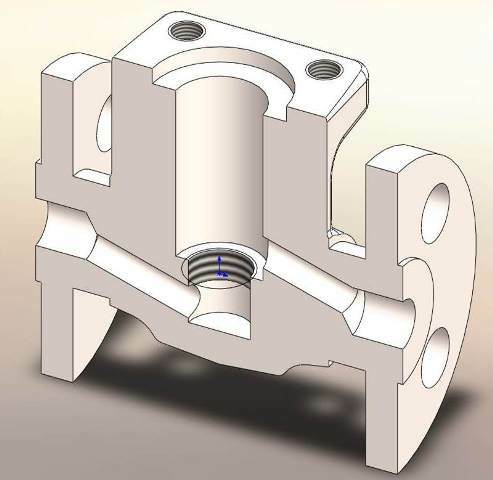 Component materials, connections, and relationships defined during design development are fully understood for simulation. Products can be fully analyzed and ested for strength, safety and kinematics. SolidWorks Flow Simulation takes the complexity out of computational fluid dynamics. We can quickly and easily simulate fluid flow, heat transfer, and fluid forces that are critical to the success of design. Simulate liquid and gas flow in real world conditions, and quickly analyze the effects of fluid flow, heat transfer, and related forces on immersed or surrounding components. Design variations can be compared to make better decisions, resulting in products with superior performance. Specific modules simplify the specialized analysis of HVAC and electronic cooling.